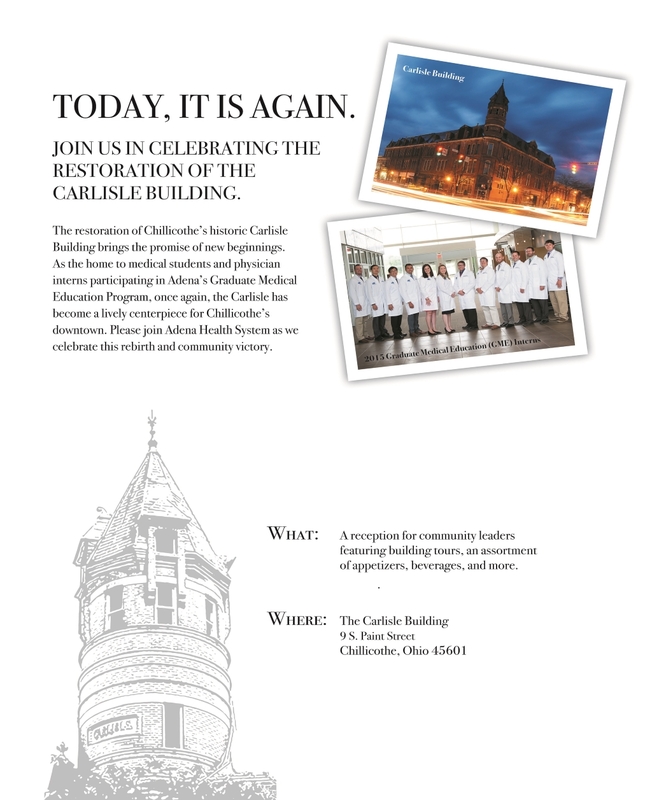 Please join us and the Chillicothe Community to celebrate the successful renovation of The Carlisle Building. 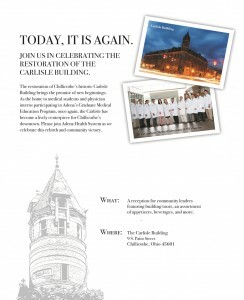 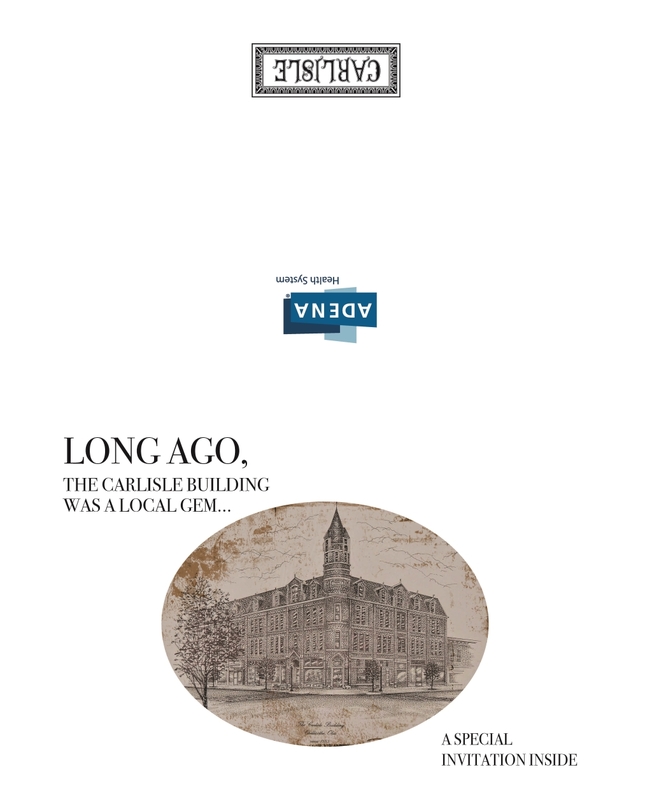 The long anticipated revealing and grand opening will be held on Monday, Oct. 19th at 12pm. Below please find the timeless and sophisticated invitation that Adena Health System designed for the private VIP event.